Brocade has managed to beat the expectations of Wall Street with its revenue numbers for its second quarter claiming that its acquisition of Foundry is already paying off providing it with greater market share. For the three months that ended 2 May the vendor reported revenues of $506.3m up from $354. Brocade has managed to beat the expectations of Wall Street with its revenue numbers for its second quarter claiming that its acquisition of Foundry is already paying off providing it with greater market share. For the three months that ended 2 May the vendor reported revenues of $506.3m up from $354.9m from a year before and a GAAP net loss of $63.1m, which was a reversal on the profits of $91.4m enjoyed in the same quarter in 2008. Brocade closed the Foundry deal in January promoting its EMEA head of partner sales Barbara Spicek to the role of vide president of worldwide channels to integrate the vendor’s channels. The percentage of sales coming through the channel increased year on year rising from 14% to 38%. In a list of quarterly highlights, which included product deals with IBM and HP, the CEO picked up on the impact that the Foundry purchase had already garnered in terms of market share. 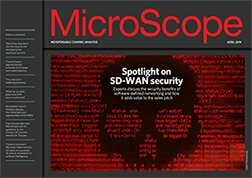 “We are executing well to our long-term business-growth strategy with the rapid integration of the Foundry business,securing new routes-to-market for our IP networking portfolio, and leveraging our OEM and channel partner relationships to expand our footprint in the industry,” said Michael Klayko, CEO of Brocade in a statement.